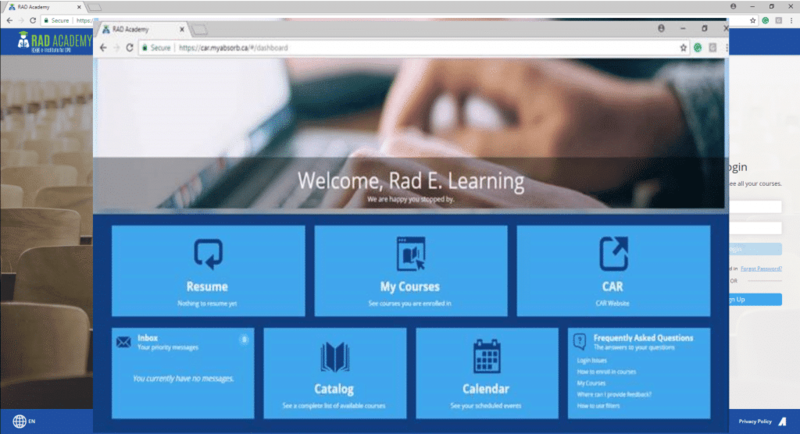 The CAR has changed the education landscape by launching RAD Academy, a learning management system (LMS) dedicated to continous professional development (CPD) for radiologists. This platform takes our CPD offerings to the next level and improves your overall learning experience with several resources. RAD Academy is made for CAR members, by CAR members. As a radiologist, it’s your one-stop shop for CPD. Everything on the platform caters to our members and their desire for a comprehensive, specialized education in radiology. CPD Dashboard: a high-level look at what matters most to you, including your current CPD activities, calendar, notifications, course catalogue and much more. Multiple search options: easily find the exact CPD activity you want to complete. Print transcripts and certificates: track your CanMEDS role competencies and identify which roles you want to focus on. Evaluate and comment: see real-time feedback others have submitted. Residents Section: a dedicated portal to our valued radiology members-in-training, featuring resident-specific information and resources. 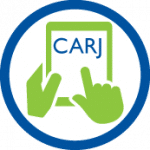 The CARJ self-assessment program you know and love has changed in branding and evolved. Now you can find all your Insights4Imaging modules on the CAR’s recently launched learning management system, RAD Academy. Instead of separating our CPD offerings we’ve transitioned Insights4Imaging into RAD Academy to make everything simple and user-friendly for our members. Along with the shiny new look, everything under the hood for Insights 4Imaging has changed. Articles eligible for CPD now have their very own interactive learning module. Look out for this logo!